R5 officially announced the first batch of international tour dates for their upcoming Sometime Last Night Tour during their live stream earlier today starting in Europe at the beginning of September! Tickets will go on sale Wednesday, 10 June at 8am BST / 9am CEST starting with Fan Club members. It will then open up to everyone else starting at 10am BST / 11am CEST. Join the R5Family Fan Club to get your tickets before everyone else! Tickets and VIP will not be sold together for these shows, VIP will be an upgrade. There will also only be one type of VIP for these shows. More details to follow. How exciting! Will you be attending any of these shows? Stay tuned for more! R5 will be hosting a one night only online premiere of 'R5: All Day, All Night' on Friday, June 5th at 5 PM ET / 2 PM PT on YouTube.com/OfficialR5! 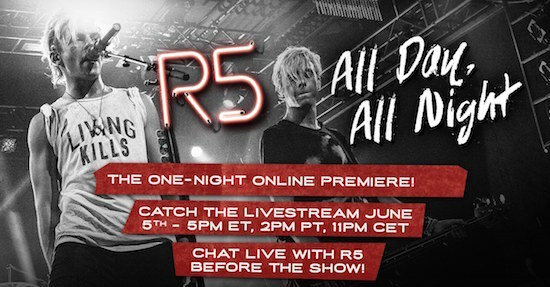 The band will do a live chat prior to streaming the movie starting at 2 PM PT / 5 PM ET so be sure to send in your questions using #R5AllDayAllNight on Twitter! They may or may not also be announcing some international tour dates following the event! Will you be tuning in? Don't miss it! 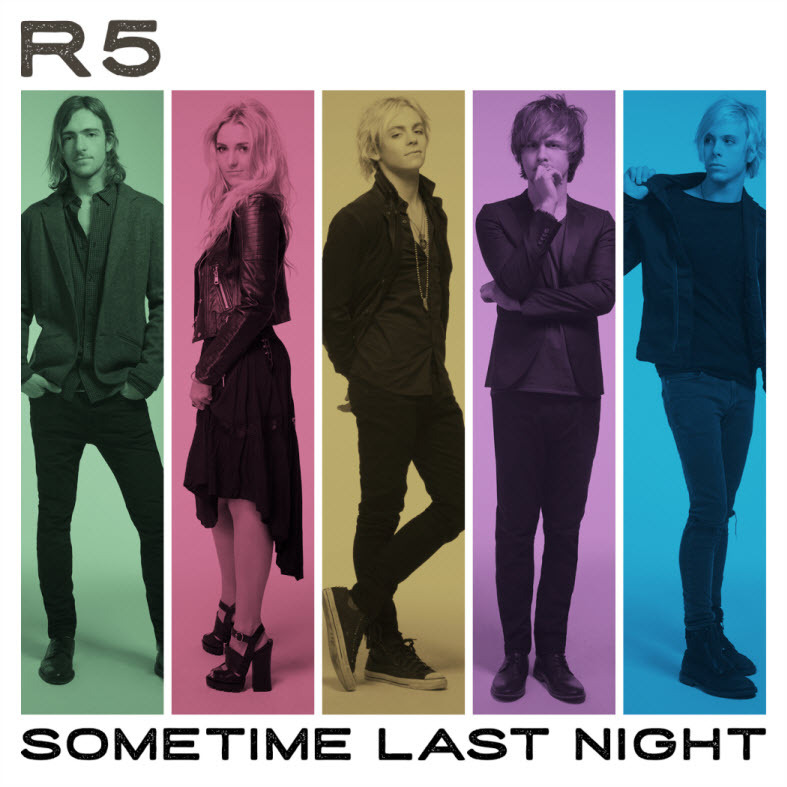 R5's second full length album 'Sometime Last Night' is now available for pre-order on iTunes! Pre-order your copy now and get an instant download of 'All Night'! Click here to pre-order your copy now from iTunes. 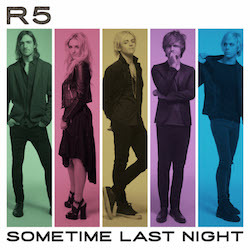 'Sometime Last Night' is set to release on Tuesday, July 10th. 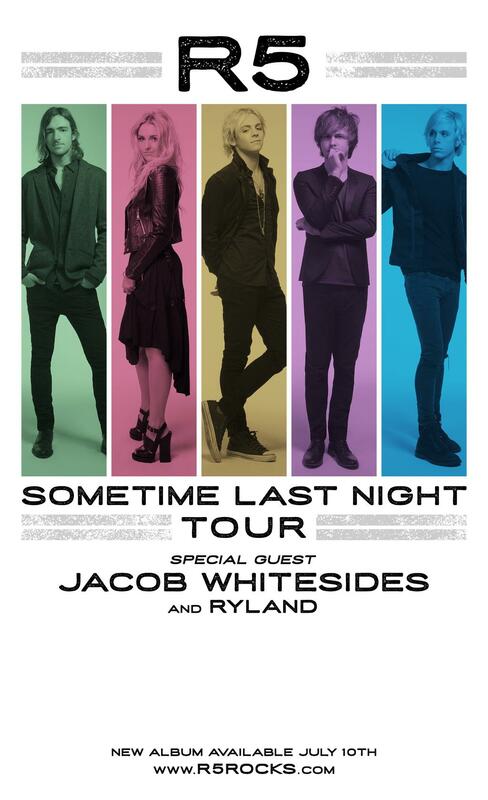 Catch R5 this Summer on their Sometime Last Night Tour! Click here for full details. International dates to be released this Friday, June 5th! Have you pre-ordered your copy already? What do you think of 'All Night'? A very special happy 18th birthday to without a doubt the hardest working member of the family, Ryland Lynch! You are a multi-talented, kind-hearted, hard working peron and your hard work definitely does not go unnoticed! Welcome to adulthood! We hope you enjoy this very special day! From all of us here at Ready, 5et, ROCK! and from the entire R5 Family worldwide! 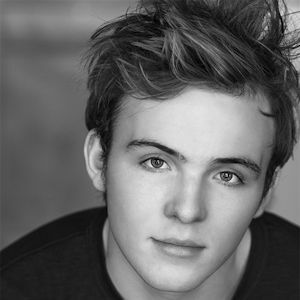 We love you Ryland! 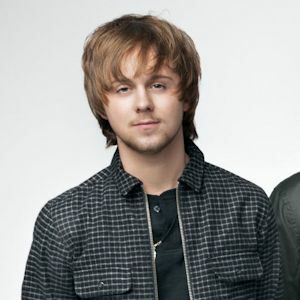 Happy 22nd birthday to the one and only Ellington Ratliff! You are a talented, hard working person with a big heart and a funny and outgoing personality. May you have a wonderful and safe birthday filled with lots of love and memories with many more to come! It's official! R5 will be performing at the 2015 Radio Disney Music Awards! Just announced, the band will be playing their hit new single 'Let's Not Be Alone Tonight' at the awards show. This news comes following the announcement of their second full length album and tour. Last year, R5 also performed at the music show, performing their then hit single '(I Can't) Forget About You'. The 2015 Radio Disney Music Awards will be taking place on Saturday, April 25th, 2015 at 3:30pm Live at the Nokia Theatre in Los Angeles and will air on Disney Channel the following day on Sunday, April 26th at 8pm. For tickets to the live show, please click here.